. NO NEED TO BOOK . FOOD AND DRINK ON SITE . WE GIVE GENEROUS PITCHES . TOILETS . 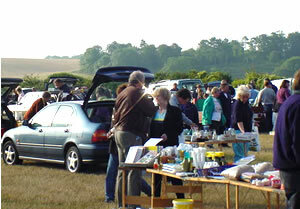 EARLY ENTRY POLICY - Some Sellers and Buyers wish to come onto the site early. 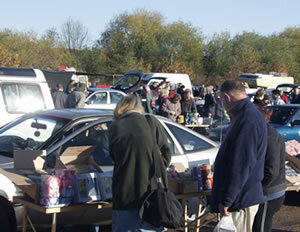 We allow sellers on early if they turn up before 10.30 a.m. and pay £11 per car/£14 per van. Please note if you turn up after 10.30 you must wait (in our on site waiting area) until 12 noon. Customers wishing to enter early (before the last seller in) must pay a £1 entry fee. Entry after the last seller in will be 20p. NOTE: Most sellers choose to set up from 12 noon onwards. IN SOUTHAM - Sign posted from smith's industries trafic lights.
. Bring a paste table, picnic table or sheeting to display your goods.
. Have an idea of a price that you want for your items but be prepared to bargain.
. Just turn up, pay at the gate and our friendly stewards will direct you onto the sellers site.